God is separated from sin. 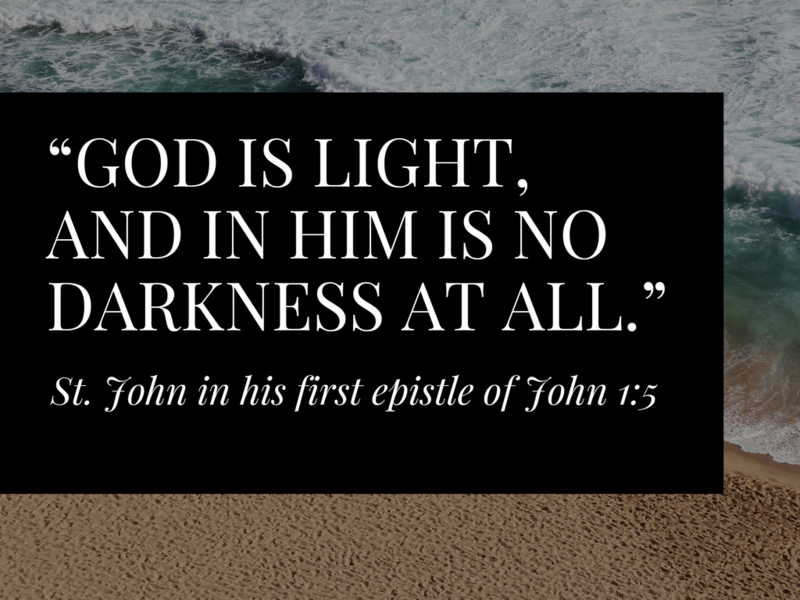 In Him there is no darkness – no evil – whatsoever. He is dedicated to promoting the ultimate good of the beauty of His holiness. He is good and worthy to be praised! And yet evil exists. How can evil exist if an all-powerful good God rules the universe? We are going to attempt to answer that question in 2 Chronicles 22-24 this morning. What does God do with evil and darkness? Let’s read and 2 Chron 22:1-12 and begin to find out. 1. 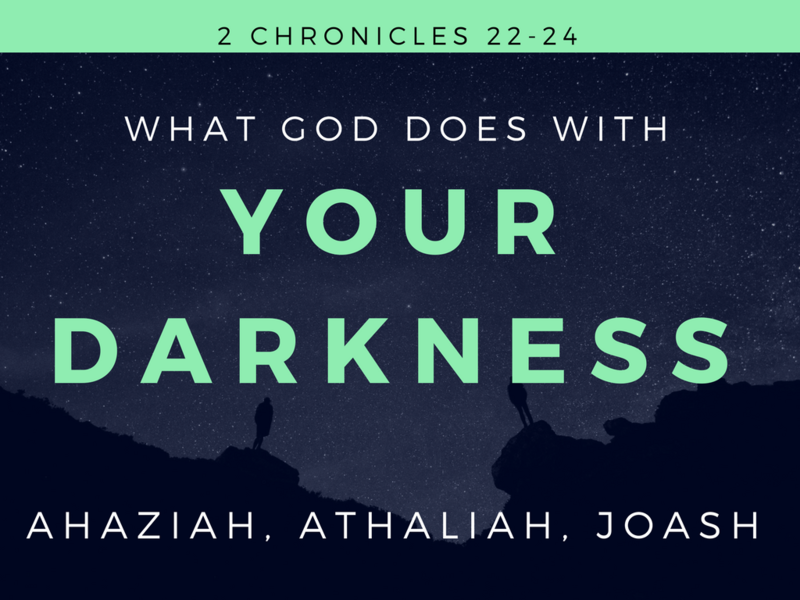 God controls your darkness, (22:1-9). We are dealing with Israel’s darkest days, in which the very royal line of David is almost extinct. We see the rise of an ineffective puppet King Ahaziah who reigns only one year. 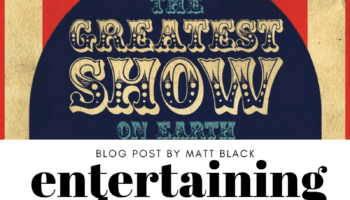 Then we see a plot to kill all the offspring of the house of David so that the most wicked woman alive at that time, Queen Athaliah (Jezebel’s daughter), can reign with no competition. She is evil incarnate. As things get dark in Israel, you are left to wonder, “Is God still on the throne?” Perhaps you are wondering the same thing in your life. Our country grows more depraved each day. The darkness of sin is overwhelming. It’s hard to be a Christian in these evil and pagan days. But God has a purpose for all the evil and calamity that is occurring in your life. God wants to do good to you. He proved it in Christ. Let me give you a sneak preview of what’s going to happen in these chapters. Let me introduce you to the key players in these very dark scenes. Wicked Queen Jezebel. She’s married to Ahab (king of Northern Israel). We all know that Jezebel is a Gentile Queen from Tyre and Sidon. She brings Israel to a new level of depravity. In fact she is probably known as the wickedest woman that has ever lived. Yet there is one wicked than her. Jezebel’s daughter is named Athaliah. Evil Queen Athaliah is even more wicked than her mother because she does everything she can to destroy the royal family of David. Her goal is that David has no more descendants. And we know that includes the Lord Jesus Christ. Athaliah has two children: one evil and one good. Evil King Ahaziah is duped by his mother Queen Athaliah into trusting the house of Ahab, and was lured to his own death and the death of his descendants, so that as far as anyone knew, the royal line of David was extinct. That means no Christmas, no cross, no resurrection. Queen Athaliah is so evil she is willing to murder her own children and grandchildren. Godly Jehoshabeath marries the central good figure in Judah during this time: Jehoiada. Godly Priest Jehoiada is a man known as “the Priest” even though he is 85 years old when he gets involved in saving the Kingdom. He does his best work beginning at 85 and he serves the Lord for 45 years and dies at the ripe old age of 130. In other words, God directs the consequences of evil, but He is not the Author of it. Man is the source of sin and is held accountable for it. 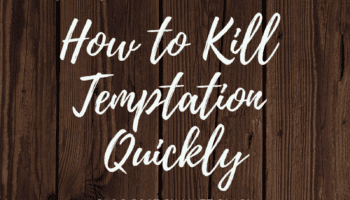 Though God controls the consequences of evil events, He is not touched by it, and does not tempt anyone. 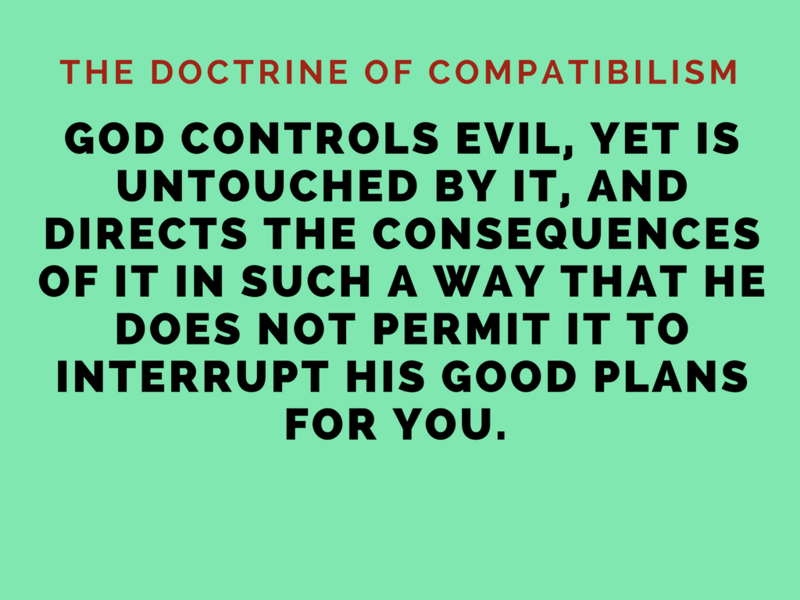 How Does God Control Evil? God controls evil, yet is untouched by it, and directs the consequences of it in such a way that he does not permit it to interrupt his good plans for you. In other words, this evil looks really bad, but God is going to direct the outcome for good. Evil will never stifle God’s good plans in Christ for you. Queen Athaliah couldn’t do it to the royal line of David. Her weapons had no power over David’s son. She tried to destroy the coming Christ. She was controlled and motivated very likely by Satan himself. But Satan is no match for David’s royal Son! And because you are “in Christ,” God’s plan for you is unstoppable. God’s Good Plan is Unstoppable! God raises up kings and kingdoms. He wants to prosper His people spiritual. Ephesians says we have every spiritual blessing in Christ. God certainly has absolute control over Queen Athaliah, and her evil cannot stifle the good plans of God. Evil is allowed to afflict the child of God for one purpose: to conform that person to the image of Jesus. No one can stop that plan – no king or queen no matter how great. No evil can harm you without God’s permission. And even when He gives permission, the outcome is always good: conformity to Christ. What was the point of Job’s suffering? To bring glory and honor to God! God was demonstrating the power of a regenerated heart. Job had a new nature, and his suffering would bring the evidence of his heart to the test and bring it to the surface. He gloried in his redeemer and “worshipped God” in all his suffering. 2. God protects you in your darkness, (22:10-12). What a dark time! It looks like evil has triumphed. It looks like Satan has one. Here we have the Maleficence of the Old Testament, and it seems she has won. “She destroyed all the royal family of the house of Judah” (vs. 10). That’s the line of Jesus. No one left. No one. Or so she thought. How Did This Happen? Jehoshaphat! How did this happen? It was good king Jehoshaphat who introduced his son Jehoram to Jezebel’s daughter, Athaliah. What? Jehoshaphat! How could he? He had a big heart. Remember his desire was to do good. But good motives do not erase reckless and careless actions. Before we go judging good King Jehoshaphat, I think the point of this passage is that God indeed does work all things out for good – even this horribly careless sin of Jehoshaphat. He should have had his son marry a believing Jewish girl, not a pagan Baal worshipper. Whether business partnerships or worship or marriage, we are called to live separated unto God. Jehoshaphat got too close to the evil and he unwittingly embraced it. Jehoshaphat planted a hint of evil by arranging a marriage for his son Jehoram with Athaliah, daughter of Jezebel. That leads the assassination and extermination of the royal family of Judah. Remember, Jesus is the “Lion of the tribe of Judah.” His line is through Ahaziah. And now Ahaziah is dead and he has no sons, or so it seems. Satan is rejoicing. The seed of the woman can no longer crush the head of the serpent! But wait! 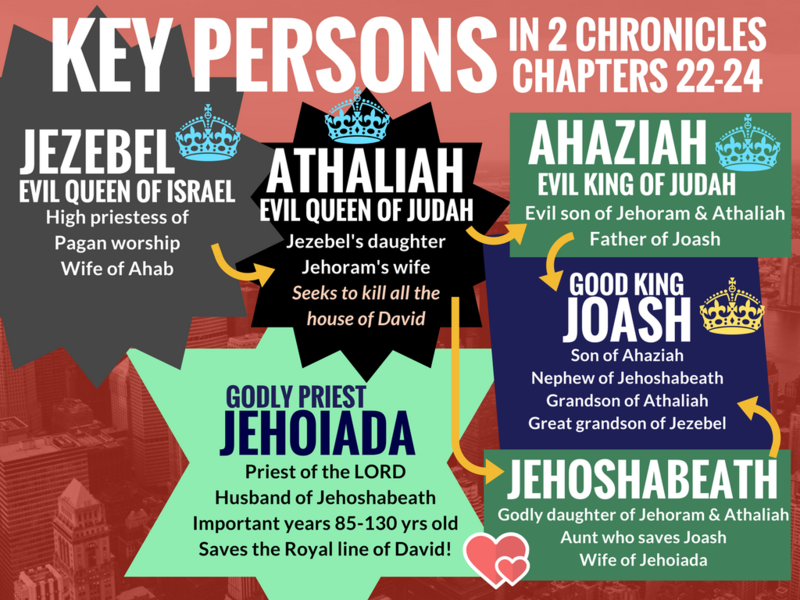 We read in 2 Chron 24:1, “[Joash’s] mother’s name was Zibiah of Beersheba.” Apparently, one of Ahaziah’s wives, Zibiah is pregnant with the son of her now dead husband, and no one knows about it. Athaliah thinks she had wiped Messiah’s seed off the map. So Athaliah has a daughter (Jehoshabeath) who hides her dead brother’s heir to the throne, and no one knows about it. For six years Jehoshabeath hides Joash and his nurse, and likely the mother Zibiah was coming and going. For SIX YEARS this goes on! Can I just remind us that God is committed to preserve and protect His saints. Satan can roar but he cannot ultimately harm your soul. You are protected in the midst of the darkness! Amen and hallelujah! You are in Christ! God’s love protects you. You are uncondemned by evil. Even your own evil cannot condemn you! (8:1, “There is no condemnation for those in Christ.”) You are ultimately protected from evil. It cannot harm you. 3. God revives you out of your darkness, (23:1-21). We turn to 2 Chronicles 23, and we have a very exciting chapter in the Bible. So Jehoiada the priest, who is now about 91 years old boldly gathers the soldiers who guarded the Temple and the Levites from all over Judah to make a covenant and crown Joash king! He hatches the plan in verses 4-7. They’ll cause a diversion, they’ll protect the king, and at the right time, they’ll crown Joash king. We read (vs. 12) the people were running and praising. And “there was the king standing by his pillar at the entrance, and the captains and the trumpeters beside the king, and all the people of the land rejoicing and blowing trumpets, and the singers with their musical instruments leading in the celebration (vs. 13). What a scene! Athaliah cries out “Treason!” But it’s too late. She is put to death. You can imagine the scene! Athaliah had been Queen over Judah for six years. She’s like the White Witch in Narnia, and it’s like there is a perpetual Spiritual Winter in Judah! But this is no fairy tale. This is real history. The Revival in Judah began with a Declaration from Jehoiada: Let him reign! (Vs. 3). 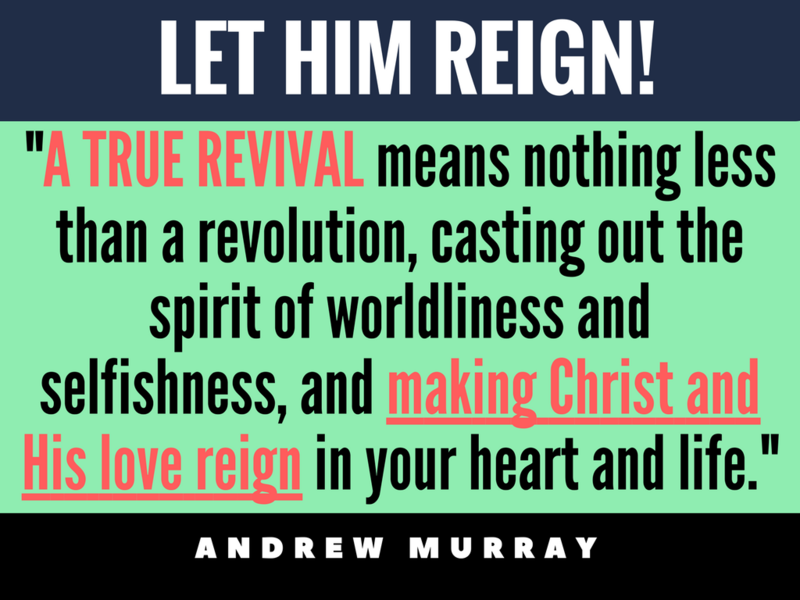 We need to let the Son of David reign today! That’s what revival is! William Cowper (friend of John Newton who wrote Amazing Grace) was a young man when the First Great Awakening broke out and revival came with power to America. Cowper wrote what it was like to experience revival and its effects. 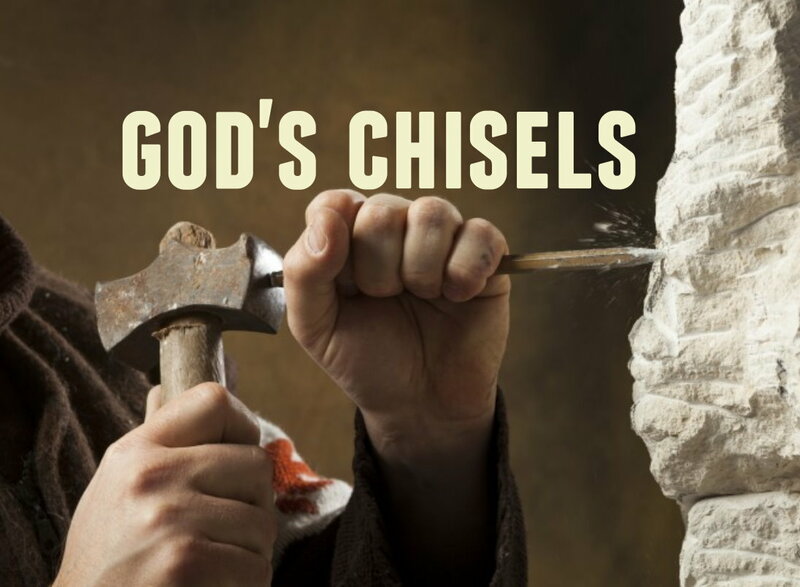 Is God stirring in your life? Is He moving? Is he reviving you? 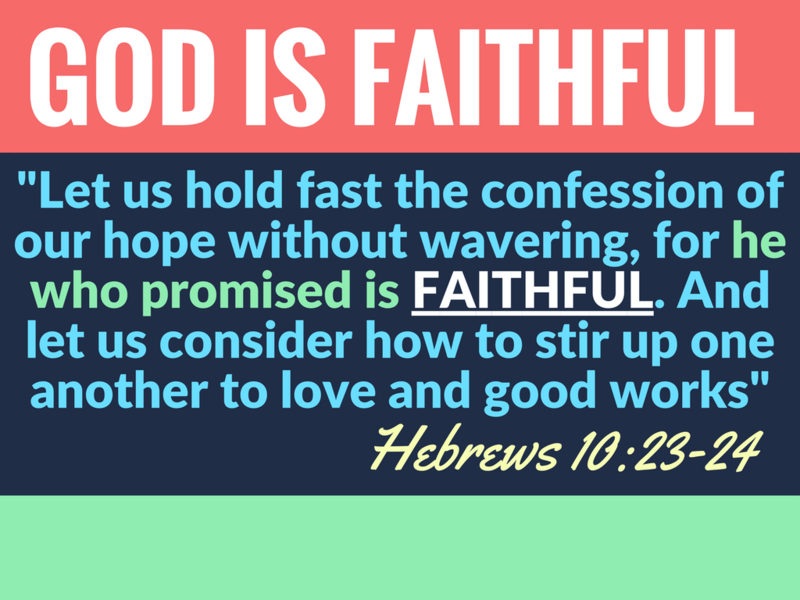 God has promised to revive you, but you must stir yourself up to it. You must seek Him. You must want it more than you want the best things in life! Let the Son of David reign! That’s when we see a renewal. And we read about all the good things that took place. Their whole way of pagan life was interrupted. Gone was Athaliah the wicked queen of Baal and daughter of Jezebel. A whole new way of living had begun! This is what we should be seeking! 4. God restores you after your darkness, (24:1-14). And now we see that after this great revival, they take up a great collection and restore the house of the Lord (vs. 1-14). They put a chest outside the Temple and took a collection. 2 Chron 24:11-12, “And whenever the chest was brought to the king’s officers by the Levites, when they saw that there was much money in it, the king’s secretary and the officer of the chief priest would come and empty the chest and take it and return it to its place. Thus they did day after day, and collected money in abundance. When revival comes it results in great sacrifice and work for the Lord! When God’s grace – His special favor and power – is upon you, it is never without results! It causes us to work hard. 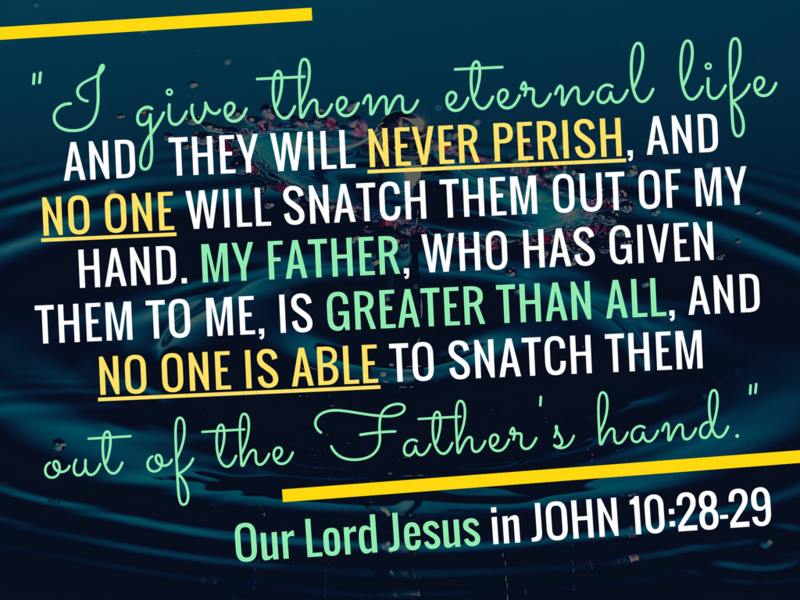 Don’t resist the Lordship of Jesus in your life. It will be bad for you and bad for others!! 5. God rescues you in the midst your darkness, (24:15-19a). They treated Jehoiada like a king, literally. They buried him among the kings. There is no higher honor. Just consider that this man Jehoiadah propped up Joash all those years. What a man! But after Jehoiadah’s death, God sent prophets to care for the people’s souls since King Joash woud not. The revival lasted 39 years, but King Joash strayed. What do you do when people around you stray. It shakes you! God is ready to rescue you right now. If you are backsliding or you feel you’ve wandered, God will grant you a holy anguish for your own soul. Weep for your soul! Take your troubles to the Lord. That’s what David did. “I took my troubles to the LORD; I cried out to him, and he answered my prayer” (Psalm 120:1 (NLT). God afflicts you to bring you closer to Him. In other words, sometimes the best thing for you is to fee the chastening of the Lord so that you can eventually feel His comfort and favor. Transition: What else does God do with our darkness? 6. God judges you in the midst your darkness, (vs. 19b-27). Finally, because God is holy, we find that He cannot leave it alone or neglect it. 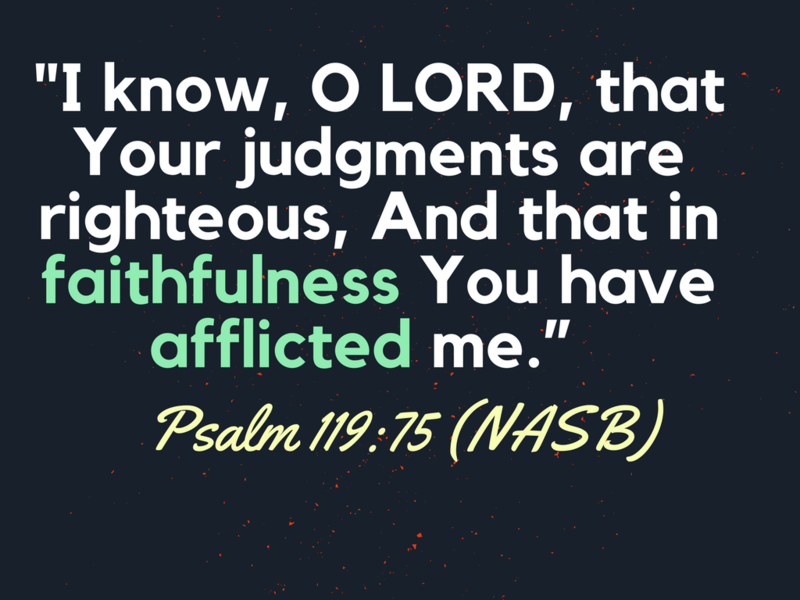 God is meticulous in His judgement against sin. 2 Chron 24:19b-22, “…19b These [prophets] testified against them, but they would not pay attention. And how did the Lord avenge? He brought King Joash’s life to an end. God brings a small Syrian army to show that He is in total control. 2 Chron 24:23-25, “At the end of the year the army of the Syrians came up against Joash. They came to Judah and Jerusalem and destroyed all the princes of the people from among the people and sent all their spoil to the king of Damascus. 24 Though the army of the Syrians had come with few men, the Lord delivered into their hand a very great army, because Judah had forsaken the Lord, the God of their fathers. Thus they executed judgment on Joash. True believers like Joash are not condemned at the day of Christ. But he dies in the way of God’s discipline. 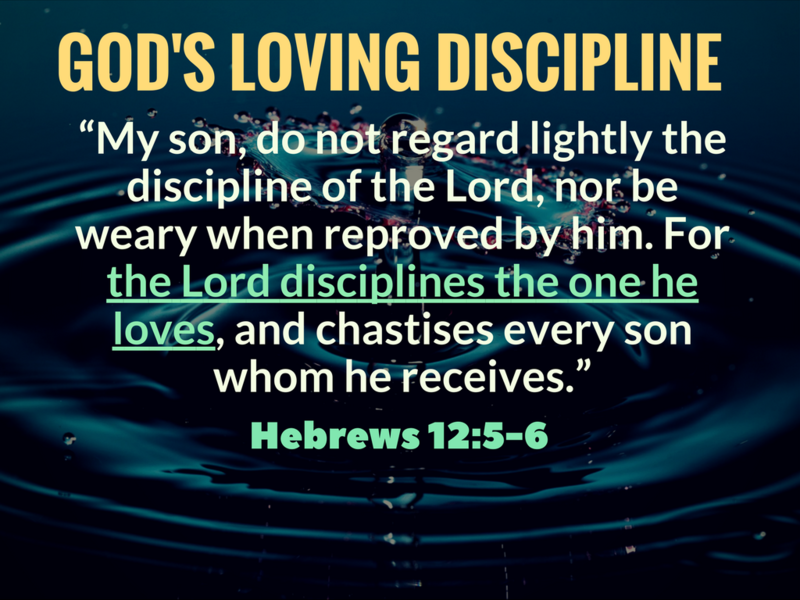 Takes God’s discipline seriously. Joash did not. God raised up prophets and even tried to touch his heart through the Zechariah, the son of Joash’s father-figure, Jehoiada the Priest. But Joash did not listen, and the Lord took him. The ultimate judgement for sin is either at the Cross or in Hell forever. You have to pay for it or you have to have someone who is perfect pay for it on your behalf. Adoniram Judson was a missionary to the people of Burma. He was eager to reach them in their own language. He was translating the Bible from Hebrew and Greek. He saw very little fruit until a revival there in 1831. There had been an enormous price to pay between the first convert in 1819 and this outpouring of God’s power in 1831. All westerners were viewed as spies and Adoniram was dragged from his home and on June 8, 1824 and put in prison. His feet were fettered and at night a long horizontal bamboo pole was lowered and passed between the fettered legs and hoisted up till only the shoulder and heads of the prisoners rested on the ground. Ann was pregnant, but walked the two miles daily to the palace to plead that Judson was not a spy and that they should have mercy. She got some relief for him so that he could come out into a court yard. But still the prisoners got vermin in their hair amid the rotting food, and had to be shaved bald. Almost a year later they were suddenly moved to a more distant village prison, gaunt, with hollow eyes, dressed in rags crippled from the torture. There the mosquitoes from the rice paddies almost drove them mad on their bloody feet. Their daughter, Maria, had been born by now and Ann was almost as sick and thin as Adoniram, but still pursued him with her baby to take care of him as she could. Her milk dried up, and the jailer had mercy on them and actually let Judson take the baby each evening into the village and beg for women to nurse his baby. On November 4, 1825 Judson was suddenly released, but it was too late. Ann died on she died on October 24, 1826. And six months later their daughter died (April 24, 1827). The psychological effects of theses losses were devastating. Self-doubt overtook his mind. He had a grave dug beside the hut, and sat on the edge of it wanting to die and be buried in it. That continued and all through the year 1830 Adoniram was climbing out of his darkness. In 1831 God sent revival. By his death in 1850 the Bible translation was done. Hundreds of converts were leading the church. And today there are close to about 3,700 congregations of Baptists in Myanmar (Burma) who trace their origin to this man’s labors of love. All that to say, God means good to you even in the midst of great calamity and even evil. Turn your eyes to Him! He has destroyed the darkness and evil of sin in the Cross of His Son Jesus Christ! Hallelujah! Pratt, Richard. 1 and 2 Chronicles: A Mentor Commentary. 2 Chron 22:7.